I have been walking my friend's dog who has a little trouble with enthusiasm despite hundreds of hours of training She did jump up on someone on a sidewalk and hit his hand with her teeth which drew blood. She was a 60 lb dog so she had a lot of force. Dog jumping is sometimes very difficult to eliminate. It's always fun until somebody loses an eye. I would hate to see the paranoid have the benefit of such a law. I agree. I'm not big on hard and fast rules. What I wrote was meant to be more of a general guideline, which I should have said. I would rather the final words on such things be left in the hands of judges. I understand that in your mind a bite that draws blood is an aggressive act. Probably if I didn't have that experience I would think the same thing. Basically if you have a frightened person they swing their arms when a dog jumps, which means they may hit the dog's teeth. But watching that middle aged man jump up and down, threaten to call authorities, and scream and wave his finger at me with a few drops of blood was actually very frightening. I had never seen the dog growl at a person in her life, not even if you took away her food bowl while she was eating. No aggression whatsoever. But a dog jumping on another person is not an aggressive act. It can simply be a difficult thing to train out of a dog. Believe me after that incident, I would shorten the dog's leash to a few inches if any other person came by. But even then she could jump if someone came too close. Eventually the dog got older and the habit was pretty much trained out of her. Between 2005 and 2017, pit bulls killed 284 Americans. That’s roughly 275 more than were killed by sharks, which nobody thinks make great pets. A study in the journal Plastic and Reconstructive Surgery found that almost 51 percent of dog-bite injuries at the Children’s Hospital of Philadelphia were from pit bulls. A compilation of studies ranked pit bulls as the No. 1 most dangerous dog, accounting for 819 maimings and 159 deaths in the U.S. between 1982 and 2009. 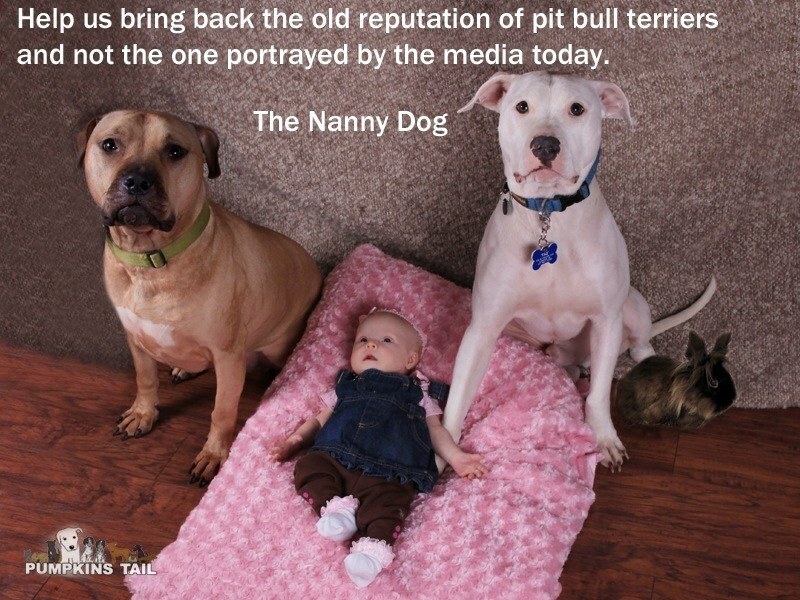 Humans aside, pit bulls supposedly killed almost 25,000 other dogs and 13,000 cats in 2015." 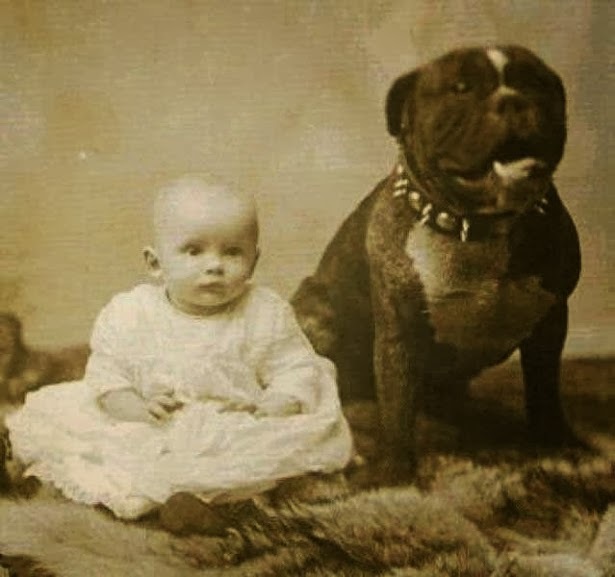 Traditionally in 19th century Britain they were called "nanny dogs"
At least 4.5 – 4.7 million Americans are bitten by dogs every year. About 20 to 30 of these bites result in death, according to the Centers for Disease Control and Prevention (CDC). How does someone die because of a Dachsund attack. Very good points. That is why we have judges, to hear both sides and hopefully make an intelligent decision that considers both the letter and the spirit of the law. Once my son had a friend over for a swim and he was splashing and taunting our dog, who is a rather high energy dog. At the time of this incident, the dog was only 3 or so. To make a long story short, my son's friend, I would say, provoked our dog and there was contact between his arm and my dog's teeth. I wouldn't really call it a bite, blood was not spilled, that I can recall, but it probably came close to that. Although I thought it wasn't really our dogs fault, we apologized profusely anyway, perhaps in part to thwart a call to animal control. My point being that dogs will be dogs and it should always be asked if the dog was provoked in any biting incident. My dog draws blood from me at least once a week. My forearms are always scraped and scarred from her. I expect it, I like to play rough with her and she has sharp claws and teeth. I never get mad at her because it only happens when we are playing and she stops as soon as I do. That is the perfect dog for me, I have no use for a small dog that I can't play rough with. I will say that if any dog bites someone, other than in an act of the legitimate defense of his owners or their property, that dog should be destroyed on the first offense for a biting involving drawing blood and on a second offense for more minor bites. I'm willing to give a pass to any dog on a leash who is purposely kept out of range by handler. Anyone who comes up to a dog in such circumstances is on their own. If you know your little kid runs every which way when out and about, he could just as easily get into trouble running into the street. Your responsibility there, not the dogs. Now if you take your dog into a children's playground then it's on you if your dog bites someone.